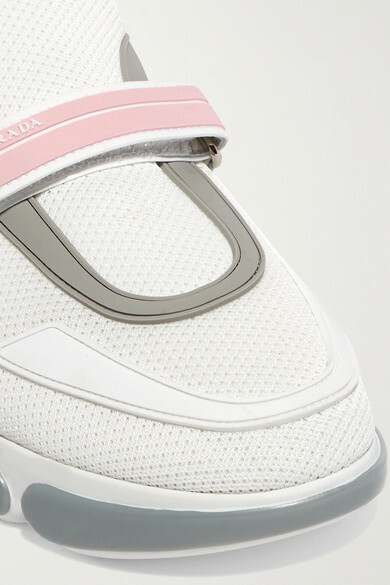 Prada's 'Cloudbust' sneakers were a surprise hit on the Resort '18 runway, balancing the collection's overt prettiness perfectly. 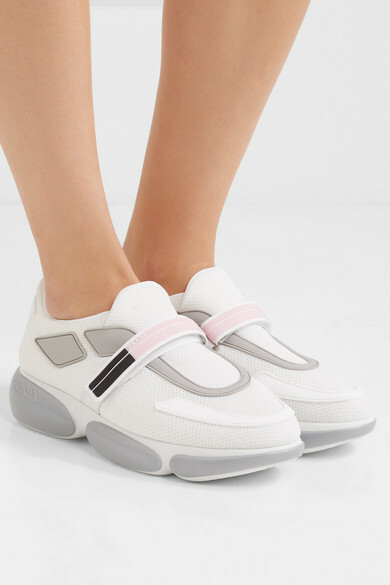 Made in Italy from spongy white mesh, this futuristic pair is topped with gray, black and pink rubber trims and a logo-stamped leather heel patch. 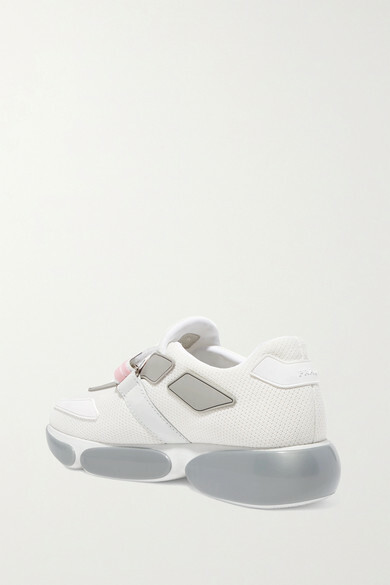 They'll look cool with almost everything, especially tailored pants or a mini dress. Shown here with: Prada Shorts, Prada Jacket, Prada T-shirt, Prada Shoulder bag.